Turn your laptop into an extra screen at your desk, complete with the full adjustment range of a monitor arm. 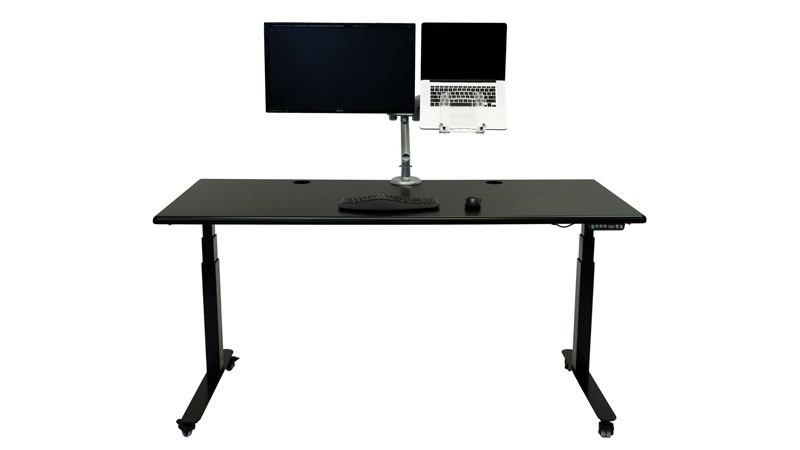 Tilt, pan, rotate, and fine-tune to the exact position you need for comfortable and productive work. Featuring a document holder for extra support and keeping your papers at a glance. Your laptop’s screen may be higher resolution than your existing monitors—why not use it as a bonus screen at your desk? Raise your laptop screen to eye-level with the pristine ergonomic adjustability of a monitor arm. All while saving from the expense of buying another monitor. It's MovR's Laptop Mount Tray. 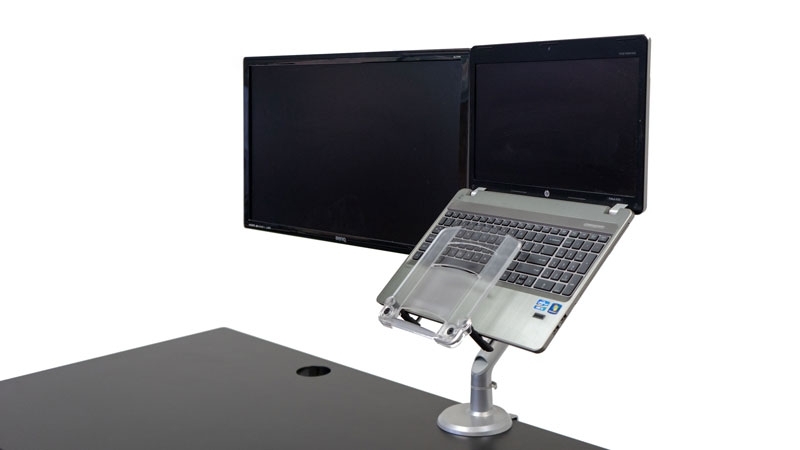 Tilt, pan, rotate, lower, or raise your laptop monitor to reduce physical strain on your neck. Use the built-in grab handle to glide your laptop to the spot where you need it, whether you're sitting, standing, or walking. The rubber non-slip contact surfaces provides extra support so your valuable computing device remains secure while adjusting, and the clear plastic overlay provides an additional layer of protection against unwelcome movements. 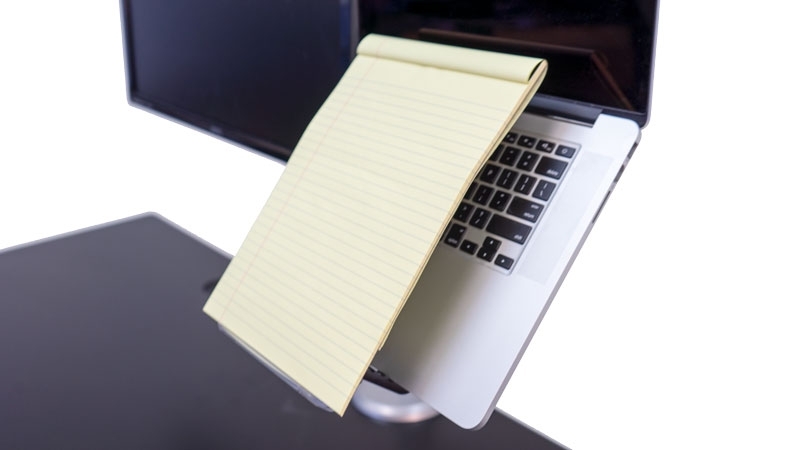 Perfect for those who work with paper documents all day, the laptop mount tray's sculpted clear plastic holder keeps your documents at eye-level for quick task switches between screens. It’s large enough to support multiple sheets and is removable when you want easy access to your laptop’s keyboard. Get started using your laptop mount tray in minutes. 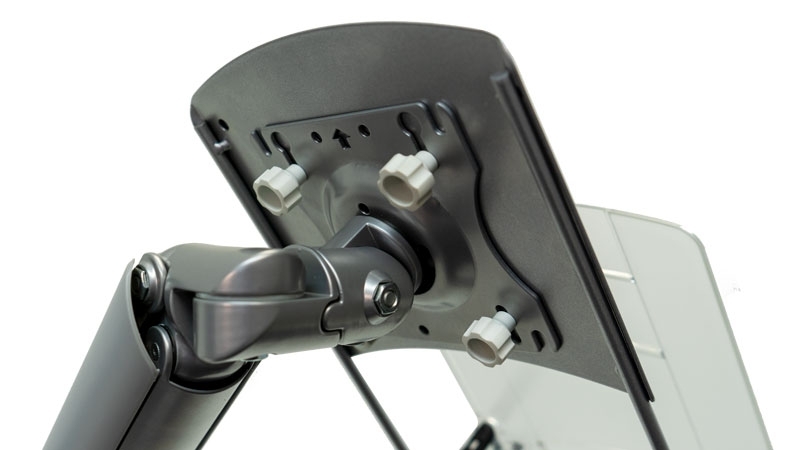 With the handy twist-off screws provided, you can mount your tray to all iMovR monitor arms, and any monitor arm that uses a standard 75mm x 75mm VESA bracket. 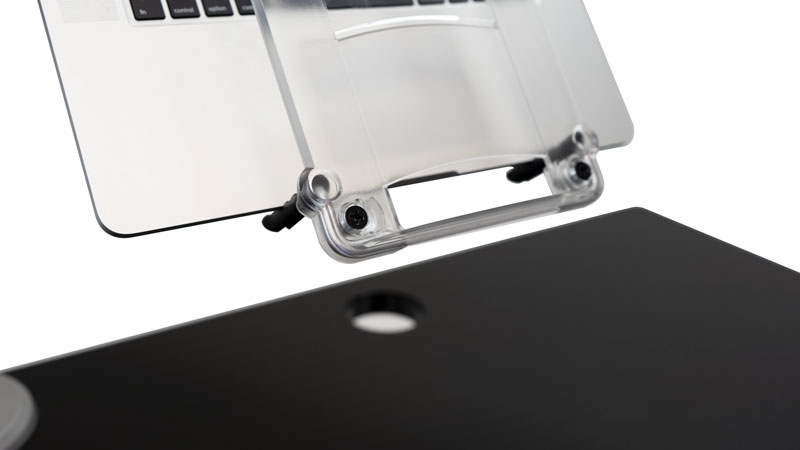 A sturdy steel construction and a 2” thick opening for your laptop ensure this mount works with a variety of laptops, and that it will last for years to come. At 12.5” deep and 7 1/4” across, it accommodates even larger laptops. If you want to use your laptop with a docking station, you can remove the document holder for extra space. Made-in-America compents and an array of design colors help make this laptop mount tray unique. Match your desk décor with black, silver, or white color options. 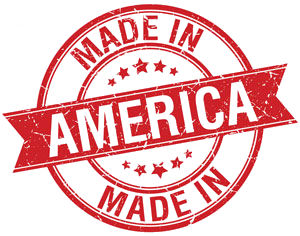 Backed by an industry-leading warranty. 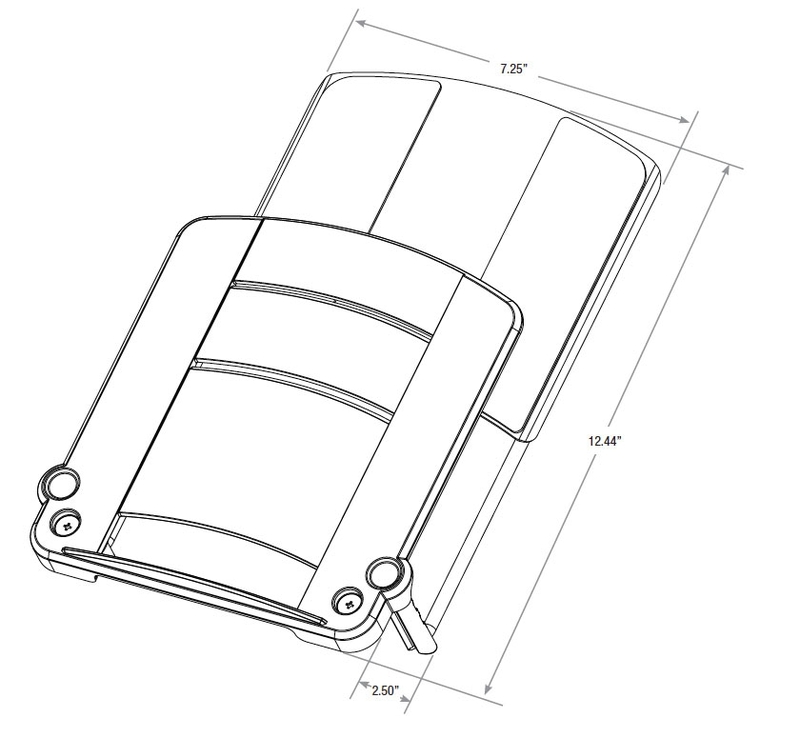 Height: 12.44"; Width: 7.25"; Thickness: 2.5"